On this week's show were talking to Connie Albers. Connie is respected speaker and author for NavPress who has served the homeschooling community for 27 years, as well as homeschooled her five children who are all graduates of the University of Central Florida. She has served as a director and board member for a large state homeschool organization, worked in the political arena as a senior strategist for a successful U.S. Congressional campaign, and has been a Speaker Relations and Events Manager for Apologia Educational Ministries. We have been blessed to have Connie on the Schoolhouse Rocked Production Team, serving as Associate Producer. As Connie and I were talking, our conversation was going so well that I didn’t want to cut it off and have you miss out as she shares her wisdom concerning the teen years, so this Wednesday you can catch a special bonus episode, Connie Albers on Parenting Through the Teen Years. Connie is giving a free copy of her E-book, 5 Fears Every Mother of Teens Faces and How to Overcome Them to everyone who signs up for her newsletter on ConnieAlbers.com. 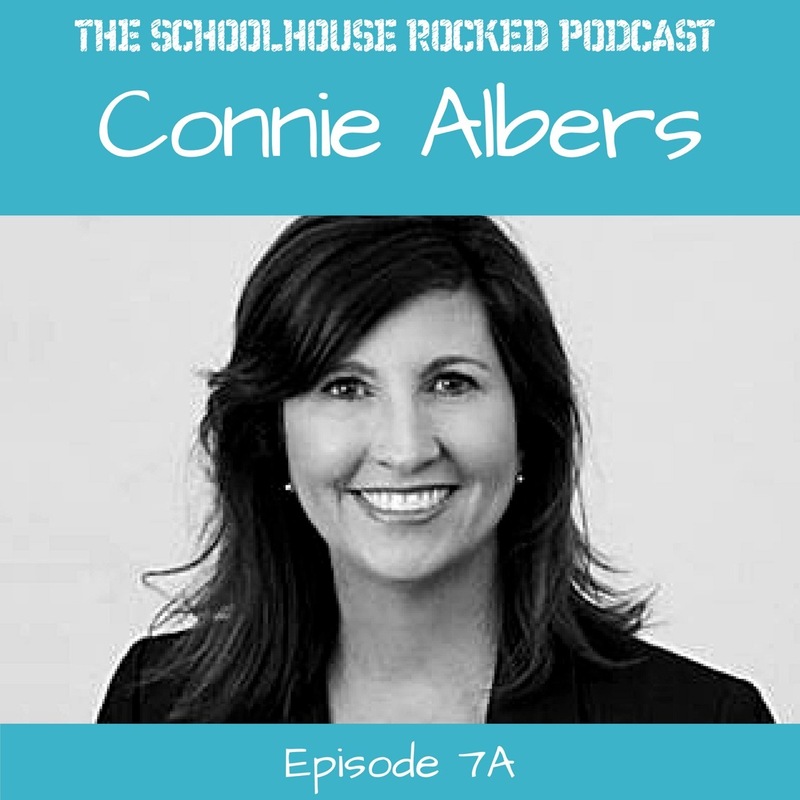 Backstage Pass Members can see Connie's full interview for Schoolhouse Rocked: The Homeschool Revolution here.